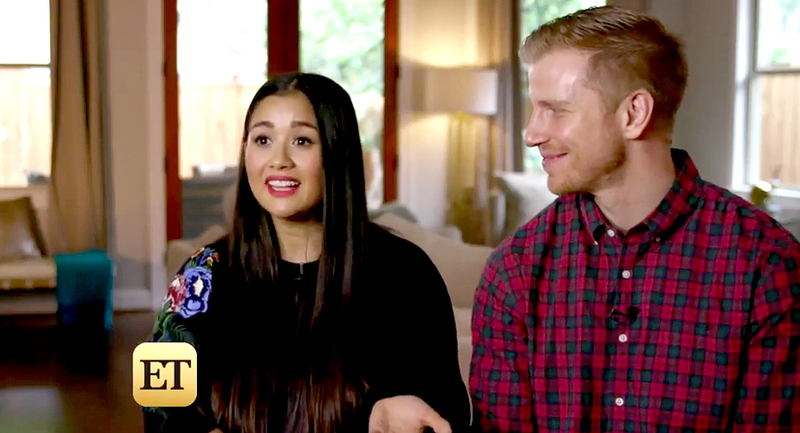 In a new interview, Sean Lowe and Catherine Giudici opened up about how they’re different from other Bachelor couples and how that keeps their marriage strong. The couple, who share 9-month-old son Samuel, got engaged on the season 17 finale of The Bachelor before exchanging vows in a televised January 2014 ceremony in Santa Barbara. Lowe is the only Bachelor to wed the winner of his season, although several Bachelorette and Bachelor in Paradise stars have tied the knot, including Jade Roper and Tanner Tolbert; Desiree Hartsock and Chris Siegfried; and Ashley Hebert and J.P. Rosenbaum. Bachelor Jason Mesnick and his runner-up, Molly Malaney, also married after he infamously dumped winner Melissa Rycroft on the After the Final Rose special. Lowe and Giudici are still going strong, but they admit they hit a rough patch in the beginning of their relationship when she moved to Los Angeles to live with her future husband. “The first year of marriage was the hardest, but once you go through those hardships, you grow, understand each other better and understand what you need better,” Giudici told ET. Since then, the pair have figured out how to keep their romance alive. “We really had to understand our boundaries, what makes each other tick, what things we need to let go and what things are important to each other,” the graphic designer said.